The following are some security system options off Amazon for basic surveillance. Security systems are one of the most simple systems to setup, yet there are a lot of companies that are producing complicated to use or insecure products. Due to the market fragmentation and the hackers using IoT (Internet of Things) to DDOS major web companies, it is more important than ever to work with an industry professional that is capable of setting up the proper computer security! 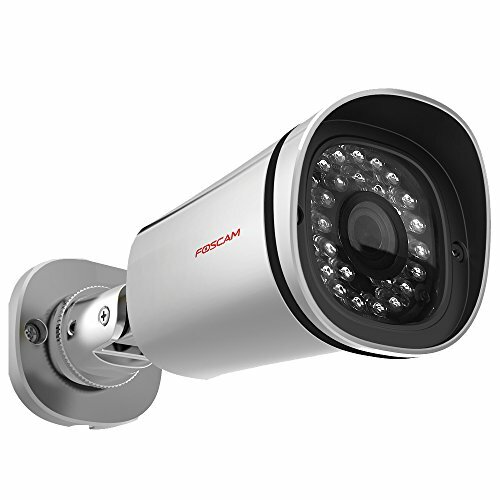 This Foscam is reasonably priced, fixed position, and has night vision capabilities. It is even outdoor rated! I accompany this camera using a Synology server for gathering the camera feeds into one usable interface and easy video storage/archive.